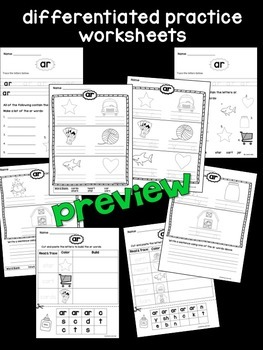 This is a quick and easy to use resource to help students practice the spelling pattern (phonogram, digraph, or phoneme) for the r controlled vowel sound of /ar/. 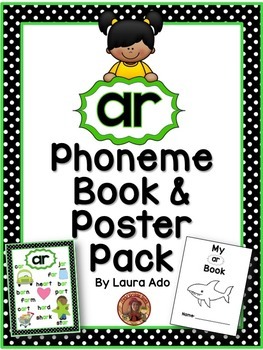 Help your students improve phonemic awareness with this book and poster set! 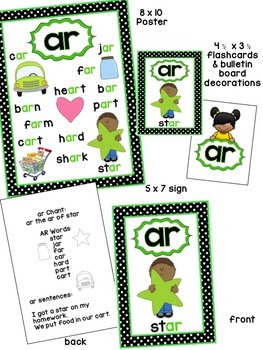 */ar/ phonic poster that shows the phoneme with example words and pictures to match the sounds. 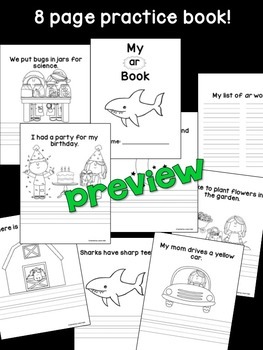 Check out other phonogram and phoneme units here!